Marley is a 2011 music documentary film on the legendary reggae godfather Bob Marley. 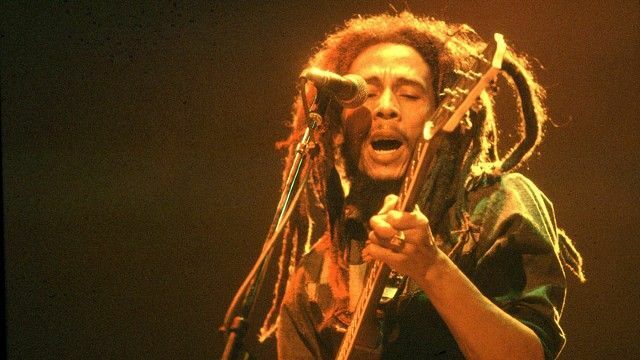 Marley’s universal appeal, impact on music history and role as a social and political prophet is both unique and unparalleled. The film chronicles the life story of the revolutionary musician from his early days to his rise to international superstardom. Directed by Kevin Macdonald (The Last King of Scotland) and made with the support of the Marley family, the film features a slew of footage, music performances and interview snippets with a host of talking heads, including family members Ziggy, Rita and Cedella, Island Records head honcho Chris Blackwell, and reggae stars Lee Perry, Bunny Wailer, and Judy Mowatt. The PG-13-rated Marley premiered at the Berlin Film Festival in February, 2012, followed by its North American premiere at SXSW. It went on to a limited release in U.S. theaters and video on demand in April, 2012.